Recently, Carbon 3D presented a new innovative approach for the 3D printing that can take the 3D printing technology to new trends. Although the rapid development for the 3D printing technology, there are some barriers that prevented using it on a large scale. One of the barriers is the layer surface that is created when the printer head adds the fused filament as small layers on top of each other. The other problem was the printing speed. The current 3D printers takes long time to print a small model, which is a barrier for mass production of specific model or product. 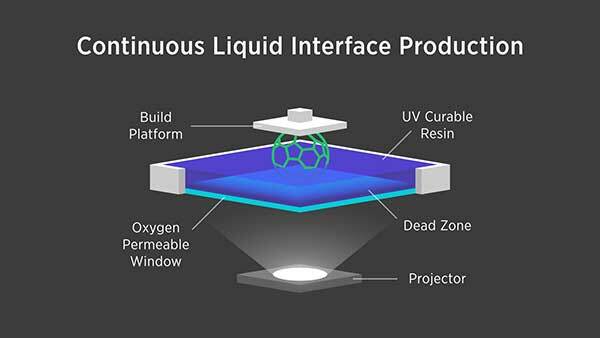 The new technology developed by Carbon 3D is called Continuous Liquid Interface production (CLIP). In this revolutionary technique, both light a oxygen is used to grow objects from a pool of liquid resin instead o printing the shape layer-by-layer using plastic filaments. The wide choice of materials and it allows designers to choose from wide range of polymeric materials. In the tradition 3D printing process, the model is built using mechanical steps that are repeated over and over to by layers of the model. In the CLIP technology, the mechanical steps are eliminated. instead, the right is projected through oxygen-permeable window into a reservoir of UV curable resin. The build platform lifts continuously as the object is grown. The window is transparent to light and permeable to oxygen very similar to the contact lenses. By controlling the oxygen flux through the windows, CLIP creates a think layer of incurable resin between the window and the object. While the UV images are projected, the object is drawn from resin. The process of drawing the object is controlled by sophisticated software. During the last few years, the development of the 3D printing technology has been focused on the same known 3D printing technologies. Few improvements in the quality of the output, but less to none researches have been dedicated to find new 3D printing techniques. 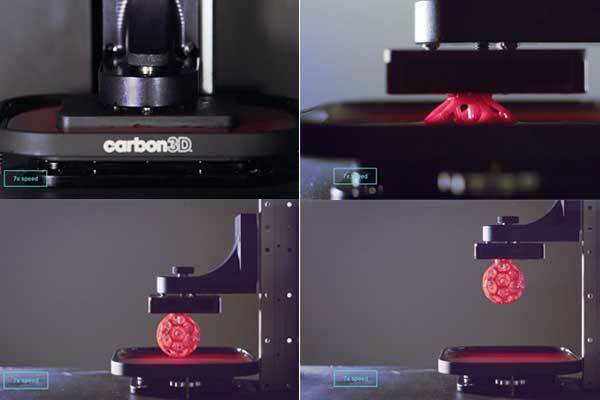 The new initiation by Carbon 3D provide a revolution in the 3D printing industry that can help talking the technology to a new stage of professional and mass production level.